These embroidered bag toppers can turn an ordinary paper bag into something extraordinary! But why stop there? The same designs can be used to decorate many fabric bags too! 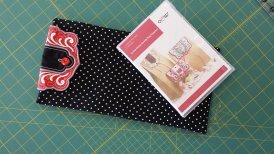 Vickie will teach you how to customize a fabric bag to hole a ruler, tablet, or special gift. 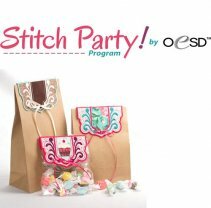 Materials Included: Stabilizers and embroidery design included. Requirements: Bring embroidery capable machine, 2-4 fat quarters, thread, and basic sewing tools. 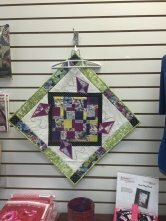 Instructor: Vickie C.